De Vaus, D.A. 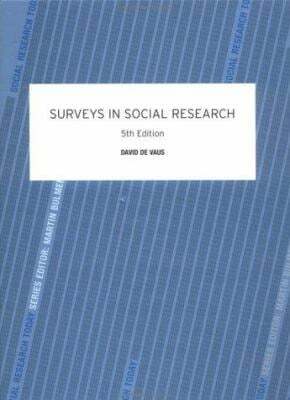 (1993), Surveys in Social Research (3rd edn. ), London: UCL Press. Dickersin, K. (1990), The existence of publication bias and risk factors for its occurrence. Journal of the American Medical Association 263: 1385-1389.